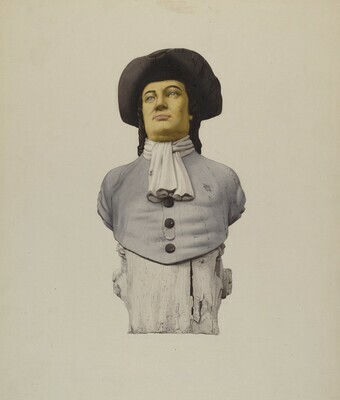 Home » Collection » Figurehead: "Quaker"
Christensen, Erwin O., The Index of American Design, New York: 1950, p. 59, no. 112. Hornung, Clarence P., Treasury of American Design. New York, 1970: 28.